All Team Entries are SOLD OUT. Crown Rally unites automotive enthusiasts for driving and navigational adventures. Hundreds of sports, luxury, and exotic cars will come together in 2019 for the most unique lifestyle driving events in the country. 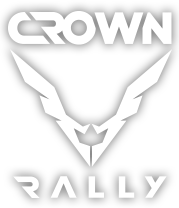 © 2018 Crown Rally - All Rights Reserved.